Born in Honolulu, Hawaii, in 1959, David Matsumoto is an internationally acclaimed author and psychologist. He has studied culture, emotion, social interaction and communication for 20 years, and has approximately 400 works in these areas. He is the recipient of many awards and honors in the field of psychology, including being named a G. Stanley Hall lecturer by the American Psychological Association. He is the series editor for Cambridge University Press’ series on Culture and Psychology. He is also an editor for the Journal of Cross-Psychology, and is on the editorial boards of the Asian Journal of Social Psychology, Journal of Nonverbal Behavior, Motivation and Emotion, Cognition and Emotion, and Human Communication. 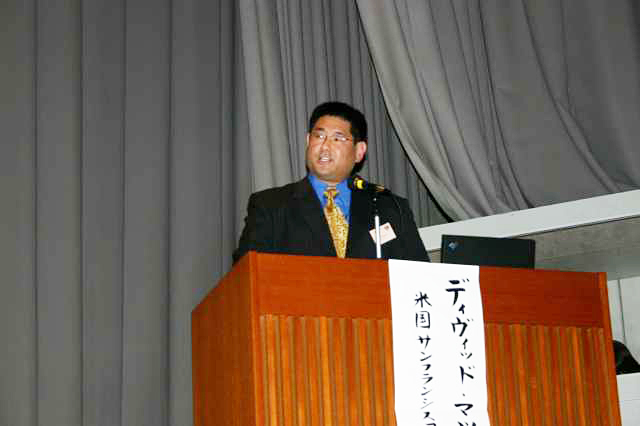 Professor Matsumoto is also a judo coach and was an official researcher for the International Judo Federation. He holds a Class A Coaching Certificate from the U.S. Judo Federation, Teaching Certificates in seven katas of judo, and a Class A International Referee License from the International Judo Federation. He is the head instructor of the East Bay Judo Institute, located in El Cerrito, California. He received the U.S. Olympic Committee’s Development Coach of the Year Award in Judo in 1999, the U.S. Judo Federation’s Senior and Junior Female Coach of the Year Award in 2001, the U.S. Judo Federation’s Senior Female Coach of the Year Award in 2002 and 2003, the U.S. Olympic Committee’s Coach of the Year Award in 2003, and an acclamation from the City and County of Honolulu, HI in 1977. Under his leadership as the Director of Development for USA Judo from 1996-2000, the U.S. claimed its first gold medal in 12 years at the 1999 World Judo Championships, and qualified a full team of athletes (14 categories) to the 2000 Sydney Olympic Games, one of only four countries in the world to achieve that feat. In the third year of his directorship (1999) American judo athletes stood on the medal podium at international competitions a total of 124 times, an unprecedented accomplishment. His daughter Sayaka won a silver medal at the 2000 World Junior Judo Championships and qualified as a member of the U.S. Judo Team for the 2008 Beijing Olympics. She faced Japan’s Ryoko Tani in the first round of the 48 kg division and, although falling to defeat, fought an admirable match.